SOFA Radio - LISTEN NOW! 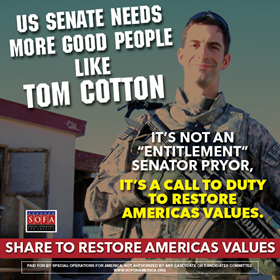 A Sense of Entitlement in the Eyes of Mark Pryor. 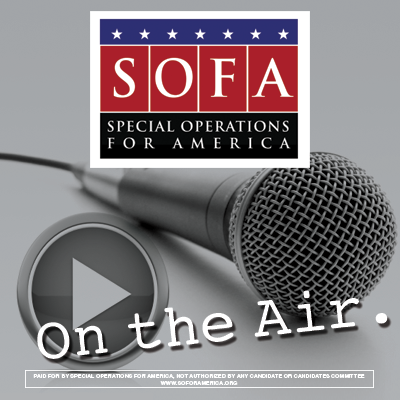 Make sure to stay connected and up to date with SOFA on our Twitter and Facebook pages. If you're already connected share this with your friends and family who want to join the battle to take America back! Here at Special Operations for America we have made it our mission to help elect more candidates with a military background. We believe that those who have served our country against threats both foreign and domestic will restore America's values in Congress. Please consider making a donation today that will help us take America back from the hands of the entitled career politicians. 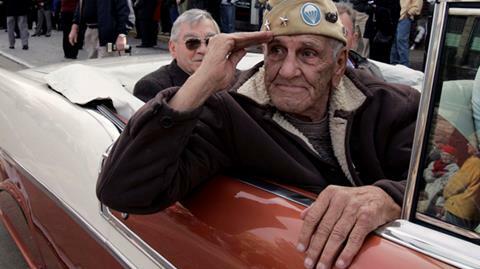 William "Wild Bill" Guarnere's, one of the World War II veterans, story was made famous by the TV miniseries "Band of Brothers," has died. He was 90. "Guarnere, whose combat exploits earned him his nickname, lost his leg while trying to help a wounded solider during the Battle of the Bulge. His commendations included the Silver Star, two Bronze Stars and two Purple Hearts." Special Operations for America Chairman Gary Stubblefield talks with Patrick Howley from the Daily Caller during the latest radio show. 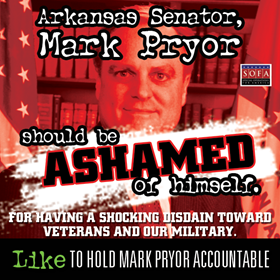 During a recent interview on Morning Joe, Senator Mark Pryor decided to share his real opinion on Tom Cotton and his military record. "No. ...In the Senate we have all kinds of different people, all kinds of different folks, that have come from all kinds of different backgrounds. I think that's part of this sense of entitlement that he gives off, almost like I served my country, therefore let me into the Senate. That's not how it works in Arkansas." Say that again Mr. Pryor? Are you not the son of former Arkansas Senator and Governor David Pryor. Clearly, Senator Pryor is feeling the heat and can't take much more.